Worried about your first cosmetic dental appointment? Put your fears aside with this quick overview of your appointment at our Boise dental office. Your first appointment generally has three parts: expectations, evaluation, and consultation. You can help us give you the best care by preparing for your appointment before you even arrive at our Boise dentist office. One of the first things we want to know when you head into your appointment is what expectations you have, so come to our office prepared to let us know what you are looking for and what concerns you have. Consider if you looking to fix a distinct problem, or if you want some general ideas on how to improve your whole smile. If you want any changes completed by a certain date, now is the time to tell us (for example, many people come in for changes before an important day like graduation or their wedding). We will do our best to accommodate you! If you are a new patient, we will give you a comprehensive new patient exam. This will help us understand if there are any underlying problems we need to address before deciding on a cosmetic procedure. During a comprehensive exam, we will check for oral cancer, cavities, and evidence of periodontal disease or teeth grinding or clenching. We will also take x-rays to look for tooth decay, bone loss, and other major problems. Our goal is to give you a healthy and functional smile in addition to a beautiful smile. By addressing all the issues you have, not just cosmetic issues, we can save you time, money, and discomfort. Once we fully understand what you want and what needs to be done, we will discuss the various options you have for a smile restoration or other procedure. Some of the procedures we may discuss include teeth whitening, ceramic crowns and porcelain veneers. If you need some teeth to be replaced, we can discuss the difference between a dental implant and a bridge. If you are looking for a full smile restoration, we will probably recommend a blend of these procedures, covering some teeth with veneers or crowns while whitening others and possibly replacing missing or severely damaged teeth. In addition to giving you the smile you are looking for, we will also mention any other problems you may want to address. This could include getting a mouth guard to prevent further damage to your teeth from grinding or clenching, or it could mean starting some periodontal treatments for periodontitis. We want to make every patient in the Treasure Valley area feel comfortable and confident during their appointments in our Boise dentist office. We hope that this overview helped give you a better idea of what to expect when you walk through our doors. Do you still have a few questions about setting up an appointment or about cosmetic dentistry? Call our Boise office or drop a note in the comments below! Flynn Davis is our March Cavity Free Super Star Winner! 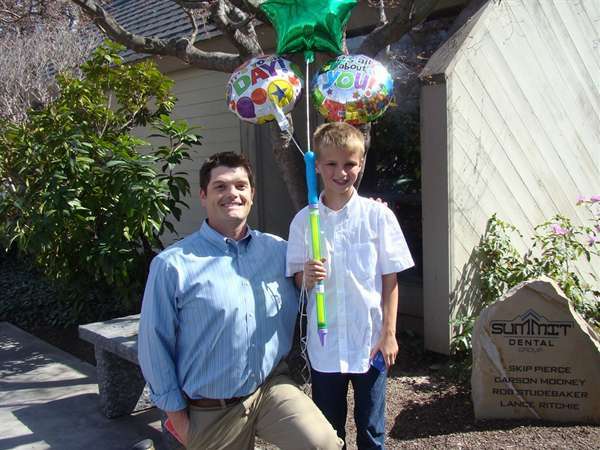 Congratulations to Flynn Davis for being our March Cavity Free Super Star Winner! Flynn, at only eight years old, is our very special winner for taking such good care of his teeth and therefore not having any cavities at his dental check-up. Keep up the great work! All children ages 3-14 who have no cavities get to join the Summit Dental Cavity Free Super Star Program! Each child will be entered in a monthly drawing for 2 Free Movie Passes! We will also place their names on our website as we want everyone to know that we are proud of these children who have been doing a great job taking care of their teeth and gums at home! Everyone wants a bright and healthy smile, but it can be difficult to find tips for whitening your teeth both in the clinic and at home. Look at the tips and information below to understand how you can give yourself a bright smile. When you want whiter teeth Summit Dental in Boise offers in-office whitening and custom take-home whitening trays, as well as professional strength Crest White Strips. The custom take-home trays are our most popular teeth whitening product as they are easy to use and generally the most cost effective way to whiten teeth. If the discoloration of your teeth is severe or unresponsive to whitening procedures, all-porcelain veneers are another popular choice. These will not only whiten teeth, but can also improve the shape and contour of your teeth for a restored smile. It generally takes three to four weeks to achieve the desired level of whiteness with the take-home whitening trays. After this initial time, you only need to touch up your teeth by using the whitening trays once or twice a month, sometimes less. If you are looking to whiten your teeth for a special occasion, you should begin the whitening process about three to four weeks before the event, using the trays three or four times per week. If you plan on using the trays less than that every week, you may need to begin sooner. When beginning the whitening process, you should avoid or keep in moderation the foods and drinks that can stain teeth. This includes wine, coffee, darker teas, chewing tobacco, and smoking. Don’t think you can let go of your morning coffee? Weaker coffee will stain less, especially if it has milk in it. Most importantly, however, is brushing your teeth or at least swishing with water after every meal, and especially after you use the substances mentioned above that can stain your teeth. Of course, good dental hygiene will keep your teeth looking their best. Regularly brush your teeth twice a day and floss once a day, and remember to schedule cleaning appointments with the Boise dentists here at Summit Dental every six months. With good dental hygiene and regular dentist appointments, you can help minimize or even prevent stain and tarter build up on your teeth for your brightest smile. Have more questions on how to whiten your teeth? 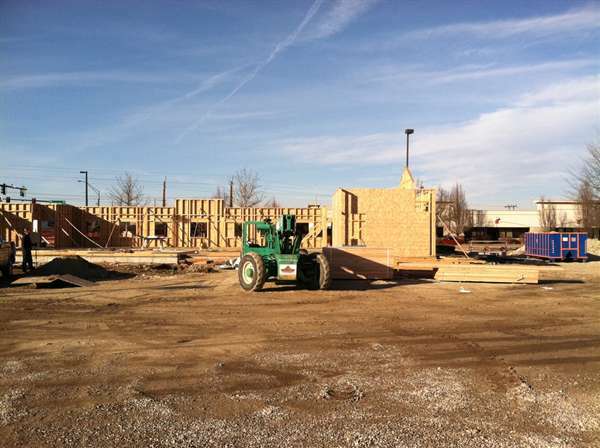 Leave a comment or stop by our Boise office! Nathan Knoeller is our February Cavity Free Superstar Winner! 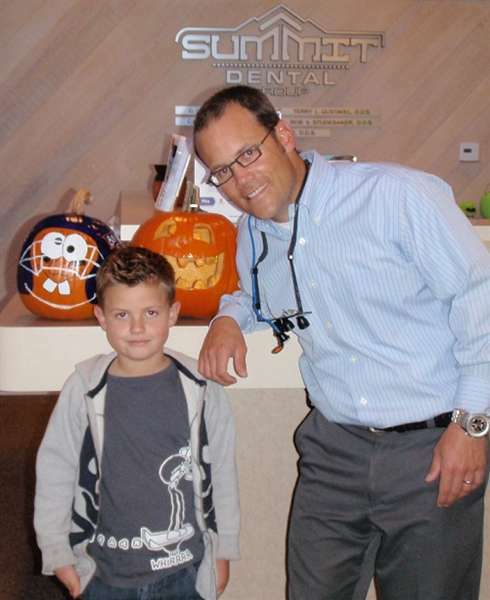 Nathan Knoeller is our Cavity Free Superstar Winner this Month! Congrats Nathan! This award is not easily earned. Nathan is very responsible in taking care of his teeth, and Nathan had no cavities during his appointments. Keep up the great work. We are proud of you, now go enjoy those movie passes! The Summit Dental Super Star Cavity Free Program was created to recognize and reward those special patients who demonstrate excellent home care in between dental visits and therefore have no cavities when they come in for their dental check-up. All children ages 3-14 who have no cavities get to join Summit Dental Cavity Free Super Star Program! Each child will be entered in a monthly drawing for 2 Free Movie Passes! We will also place their names on our website as we want everyone to know that we are proud of these children who have been doing a great job taking care of their teeth and gums at home! Congratulations to Yale Spoja for being our December Cavity Free Super Star Winner! The Summit Dental Super Star Cavity Free Program was created to recognize those special patients who demonstrate excellent home care in between dental visits and therefore have no cavities when they come in for their dental check-up. 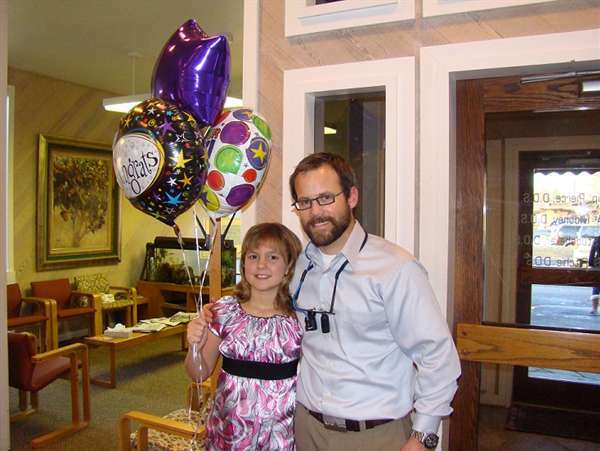 Yale is only 10 years old, but she demonstrates responsibility way beyond her years when it comes to taking care of her teeth! All children ages 3-14 who have no cavities get to join Summit Dental Super Star Program! Each child will be entered in a monthly drawing for 2 Free Movie Passes! We will also place their names on our website as we want everyone to know that we are proud of these children who have been doing a great job taking care of their teeth and gums at home! Jackson Long is our Super Star Cavity Free Winner this Month! Congrats Jackson! 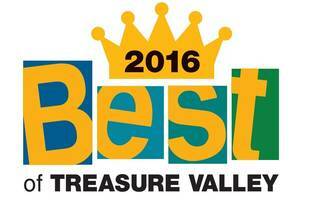 To achieve this award in the midst of all the candy temptations October throws at you is quite impressive. Keep up the great work. We are proud of you, now go enjoy those movie passes! The Summit Dental Super Star Cavity Free Program was created to to show recognition to those special patients who demonstrate excellent home care in between dental visits and therefore have no cavities when they come in for their dental check-up.